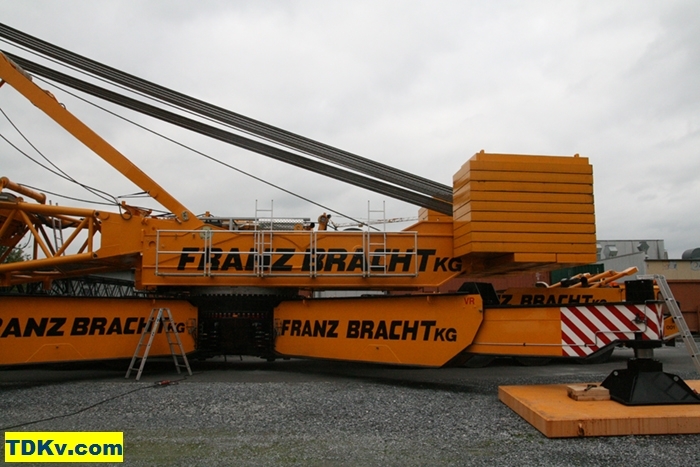 This week I made a visit to my former employer and now long term customer Franz Bracht crane hire in Erwitte. 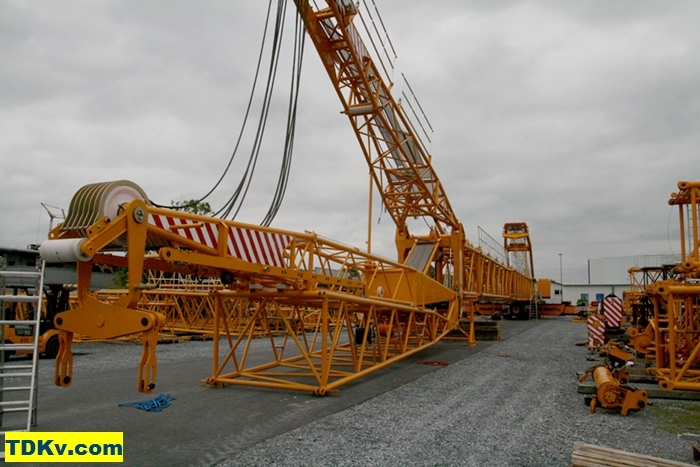 We had a talk about the updates that need to be done for the new load chart books that we are going to deliver soon. 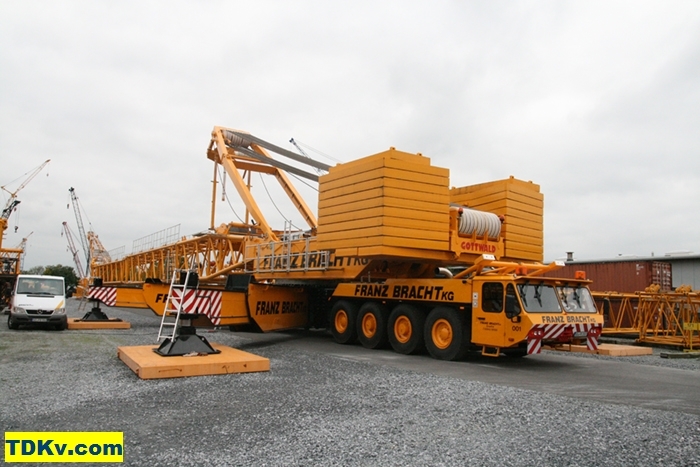 Beside additions of new crane load charts and updates the load chart books will get a complete makeover for the layout. 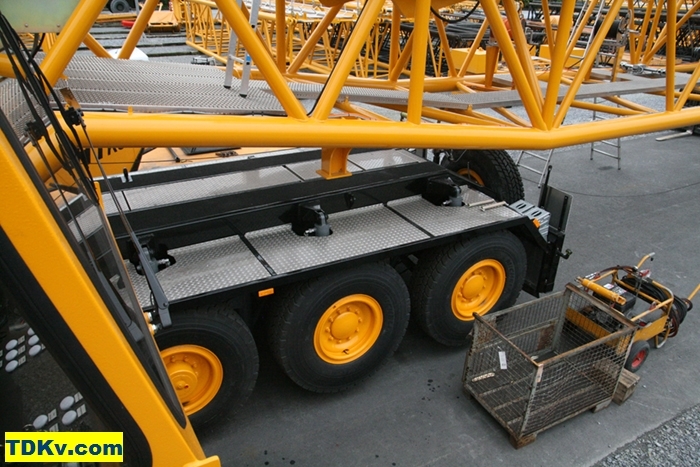 Due to my work I see most of the cranes only as pictures or drawings in the spec sheets. 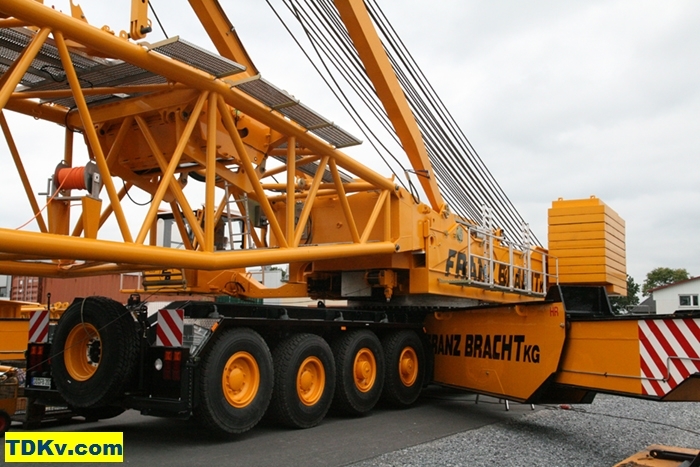 That's why I like to visit my customers and see some cranes in their natural environment. 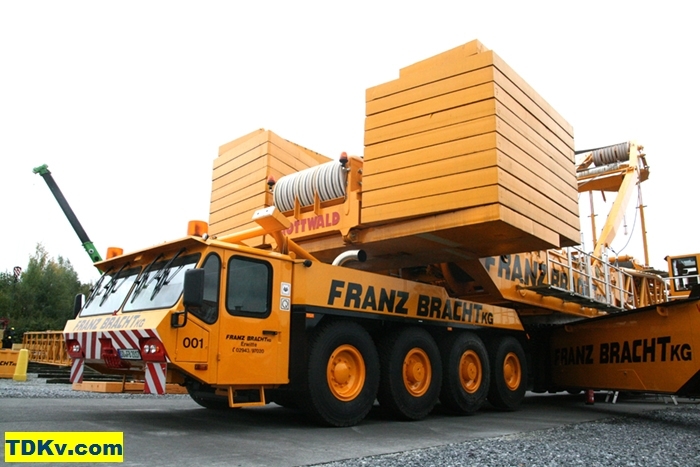 At this visit I had a special interest to see the Gottwald AK 450 with the fleet number 001. 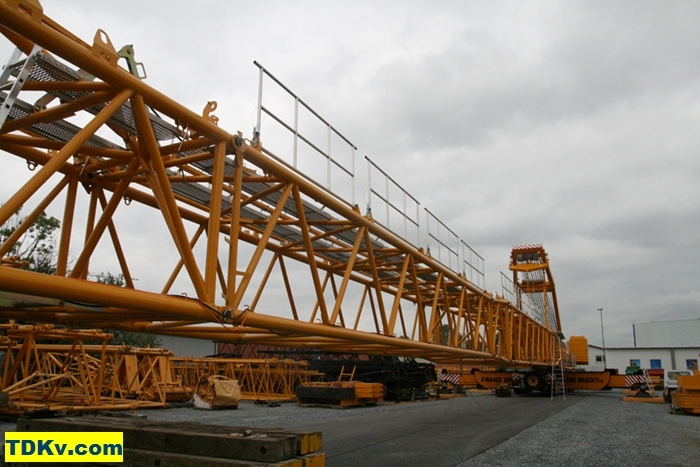 The lattice boom crane that was originally built in 1984 was in the in-house workshop for long time now to get a complete refurbishment. During my last visit I have already seen the carrier in the workshop and it looked as if it has just left the manufacturers assembly line. 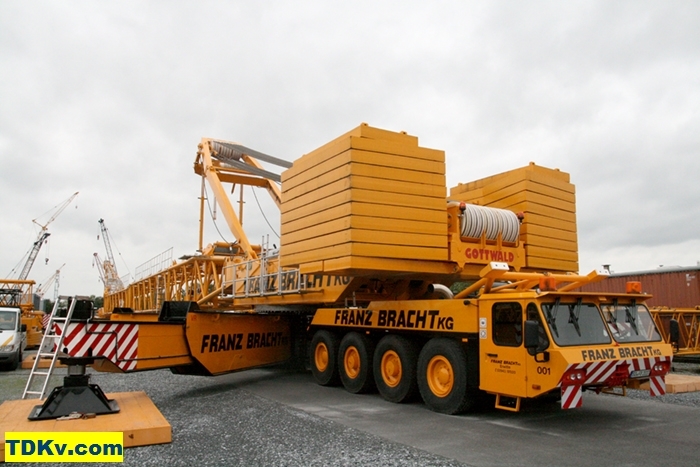 In the meantime the 8 axle carrier and the superstructure are combined again and the crane is on the companies test pad. 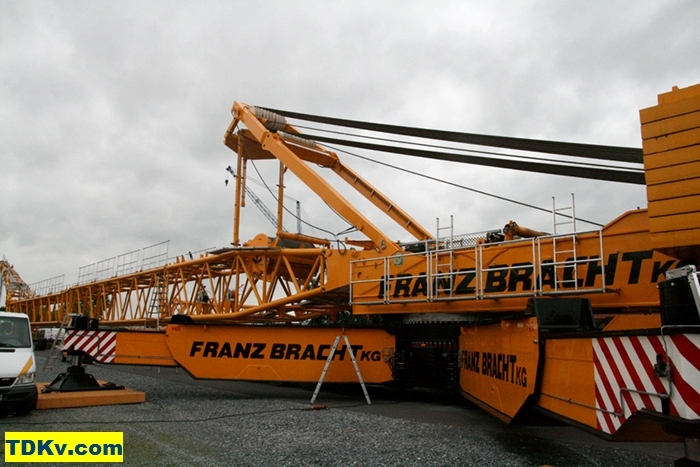 I had the great opportunity to have a look at the crane and was allowed to take and publish some pictures. What I saw was very impressive and left me nearly speechless! 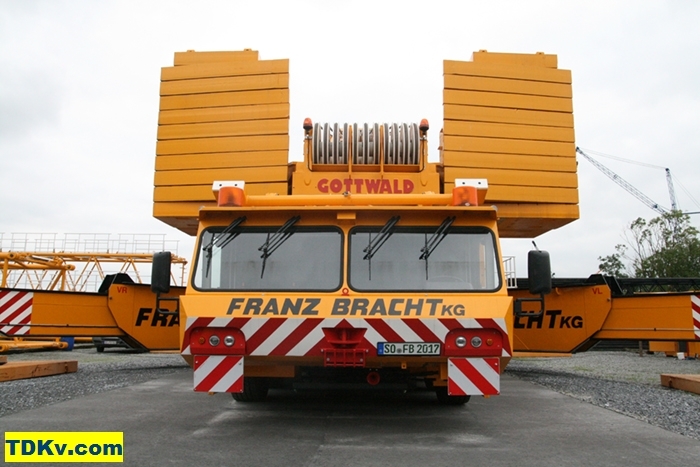 The Gottwald AK 450 is not just optically but also technically completely refurbished. 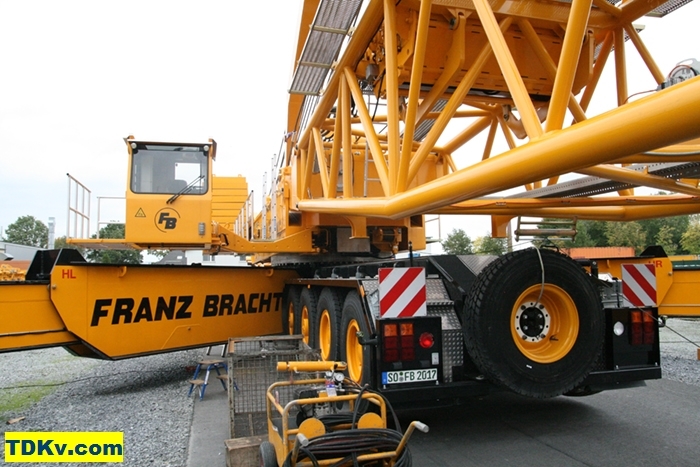 I had the impression to see a brand-new crane. 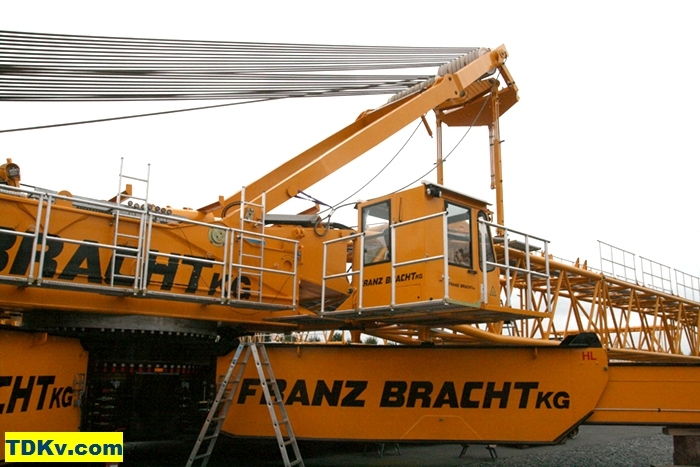 Beside several smaller and larger technical improvements the Gottwald AK 450 now also complies to the most recent work safety regulations.